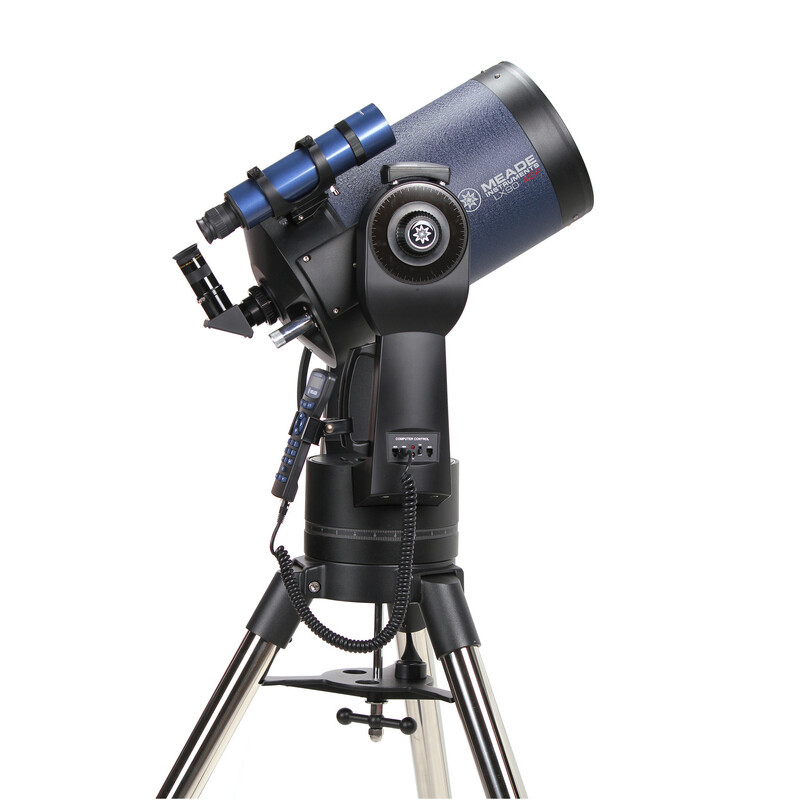 The 12" LX90-ACF with UHTC multicoatings is a serious deep space aperture instrument, and is also a very big scope with a huge chunk of glass at the front. While a single strong person could likely set it up (the heaviest portion is the bulky 60 lbs optical tube/fork mount chunk), this is a task best handled by a pair of people. But if you're used to the performance of 8" Schmidt-Cassegrains, the 12" LX90-ACF will astound you in all optical parameters. Go after the faint fuzzies and see what you can see. To truly appreciate the 12" aperture, though, you'll need seriously dark skies above. 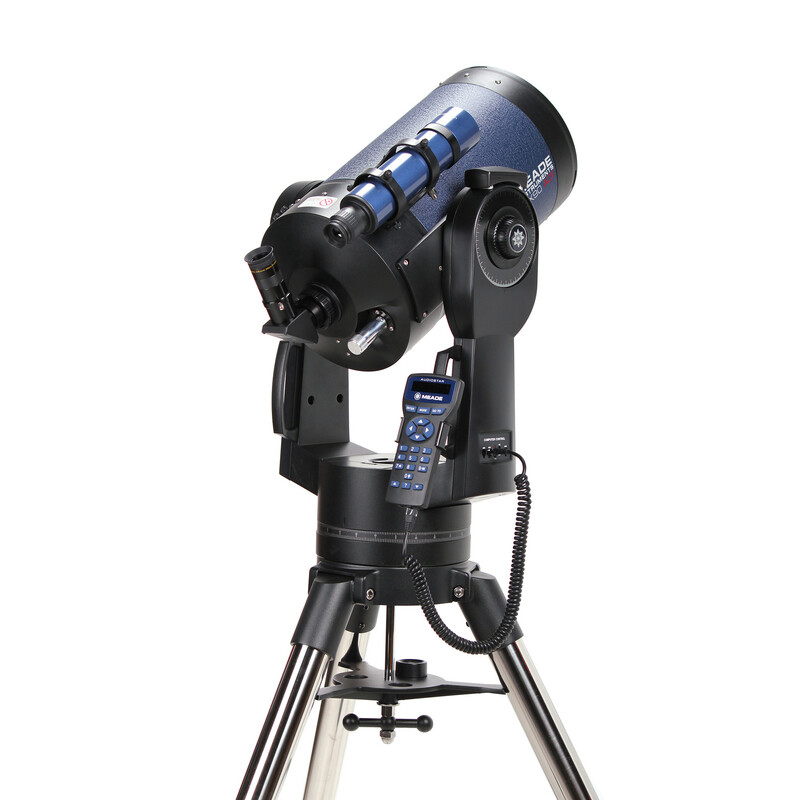 The 12" LX90-ACF's standard-equipment AutoStar computer controller connects to the telescope's control panel and permits viewing and tracking of 30,223 database objects. That's 50 objects in the solar system, 8 major planets from Mercury to Pluto, the Moon, 26 asteroids & 15 comets. An apparent endless supply of galaxies, diffuse nebulae, planetary nebulae and star clusters are present, including the complete Messier, Caldwell, IC, and NGC catalogs. You'll also enjoy looking at 50 satellites, including the International Space Station and the Hubble telescope. 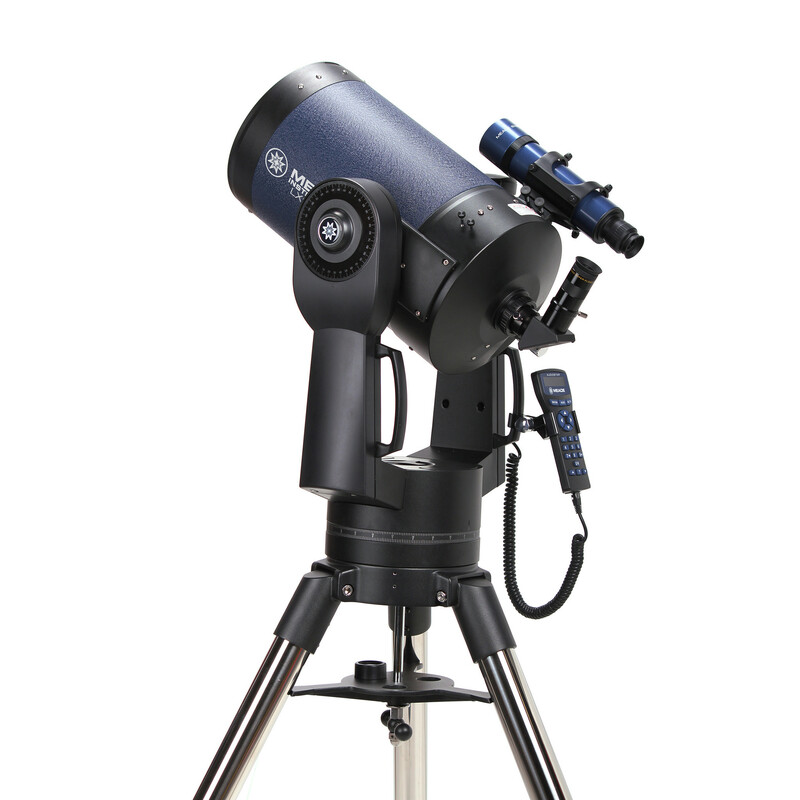 You can do some light-duty lunar/planetary imaging (of up to ~5 minute exposures) with the LX90 through the eyepiece using a digiscoping adapter or with an SLR via the SLR adapter and your camera system's specific T-mount. 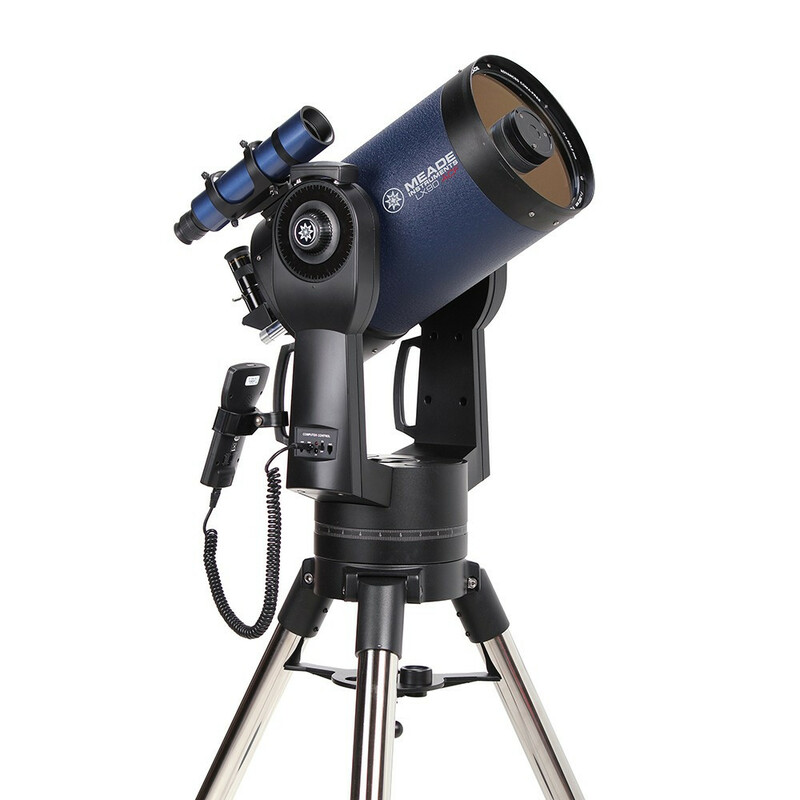 For deep space images of exposures much longer than a few minutes, you'll need a Meade Deep Sky Imager; 10" and 12" LX90 should be used with the equatorial Ultrawedge (optional) for streak-free long exposures with an SLR camera (the Deep Sky Imager's software corrects for field rotation).